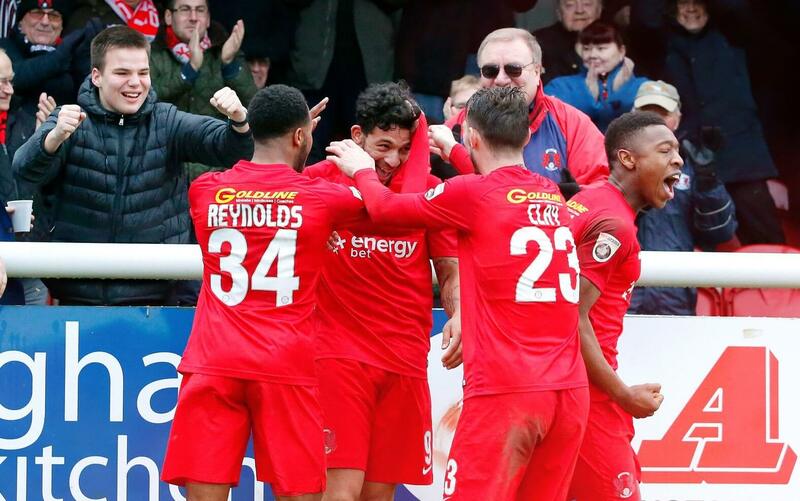 Leyton Orient beat Dover Athletic in a 7 goal thriller down on the Kent coast to advance in the FA Trophy with a pulsating 4-3 win. In Orient’s first ever outing in the competition the Londoners beat Bognor Regis but looked out of sorts a couple of weeks ago. This game however was an absolute cracker and went down to the wire as excitement and fire echoed in abundance in the Kent town. Orient had got themselves into a tiswas from leading 3-0 early in the second half to be pulled back by a defiant Dover to 3 goals apiece before there was late drama as the east London team snatched victory in the dying seconds. However the O’s almost plucked defeat from the jaws of victory until David Mooney scored a dramatic last gasp winner to destroy the hearts of all Dover fans. Mooney, the striker who has endured an erratic season and now shifts between playing on the park one week and sitting on the bench in regular succession had been the forgotten man this campaign as Macauley Bonne has been the man in form for the O’s but coming off the substitute’s bench and scoring the winner will boost both the fans, team and himself no end. Dover started the match the better of the two teams and had a number of chances in the opening five minutes. The best of those chances fell to Anthony Jeffrey who picked up a loose ball 10 yards out and smashed it towards goal and Dean Brill in the Leyton Orient goal did well to save. Orient had their first chance of the half after 12 minutes when Mitch Walker was forced into a save low down to his left. Matt Harrold found space in the box and tried to put it in the far corner but Walker kept it out. Mitch Walker kept the teams level with a hat trick of saves after 26 minutes. His first was to his left after Lemar Reynolds made a good run and fired off a shot. From the resulting corner Walker saved twice in the goalmouth scramble and the ball was hacked clear. With acres of space former Wolves defender George Elokobi put Orient 1-0 ahead in the 34th minute with a header from a corner. Elokobi was not picked up by a static Dover defence and easily headed home Jobi McAnuff’s ball into the box. On the stroke of half-time Josh Passley cleared off the line as it looked certain Orient would add their second. Walker was beaten and Passley, rushing back to his own goal, cleared it from danger. Three minutes after the break the O’s made it 2-0 when Macauley Bonne hit one into the top corner and past the diving Walker. Then Matt Harrold appeared to put the result beyond any reasonable doubt in the 54th minute when he added Orient’s third from another corner. Harrold controlled in the box, held off his man and slotted home beautifully into the corner. Dover fans could be forgiven for leaving and catching up with an early pint but in a frantic opening 12 minutes of the second half, Ryan Bird gave Dover a glimmer of hope when he pulled one back. Pinnock did well on the left to get his cross in and found Bird free six yards out who had a simple tap in. Put that pint on hold! 3-1 to the O’s but game back on. Hot shot Bonne should have add a fourth for Orient after 74 minutes but he couldn’t beat Mitch Walker and it seemed to be a catalyst for the home side to prosper despite the minutes ticking by. Dover incredibly dragged themselves back into the game with two goals in the space of two minutes. Mitch Pinnock scored the goal of the game after 81 minutes when he lobbed the Orient goalkeeper from 25 yards after Brill was stuck in no man’s land. Then Ryan Bird brought the teams level with his second of the match to the delight of the home fans when he shot well from 10 yards out. 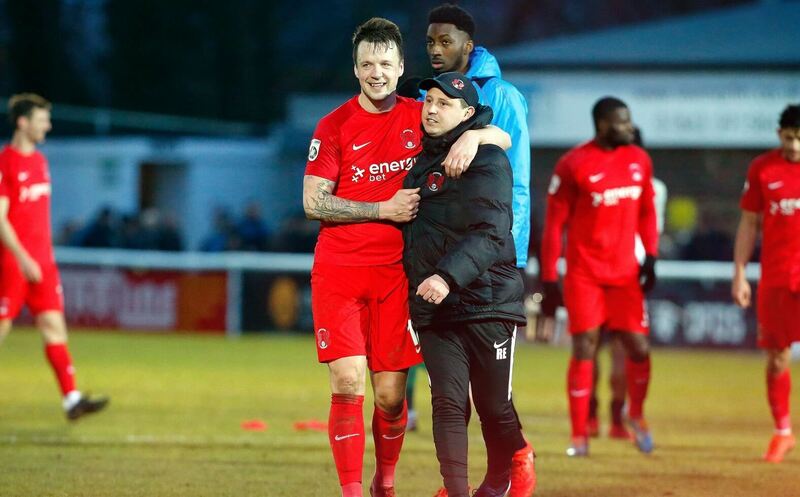 However Mooney had the last laugh as he came on from the substitutes bench to hit it over Mitch Walker in the second minute of injury time to give Orient the winner in a classic.